Not only will Splash Guards help protect the side of your vehicle from rock chips, they help keep it clean from mud and tar. 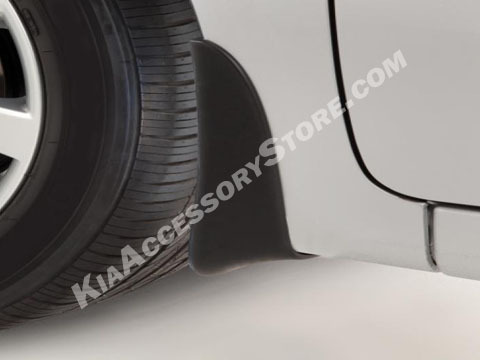 This is one of the least expensive ways to keep your Rio looking great with our custom fitted Splash Guards. Made of ultra-durable molded black plastic. These splash guards are a perfect fit. They came with new screws and were very easy to install.